Guest rooms are equipped with microwave and refrigerator, a work desk with easy chair, complimentary Wi-Fi and flat screen HDTV. Located off I-81 the Fairfield Inn & Suites gets the morning started right with a complimentary hot deluxe breakfast that includes healthy alternatives. Refuel anytime of the day with items from our Market. Guests can work out in our 24 hour fitness center or relax in the heated indoor pool. Business travelers stay productive with the hotels business center and the complimentary Wi-Fi available throughout the property. 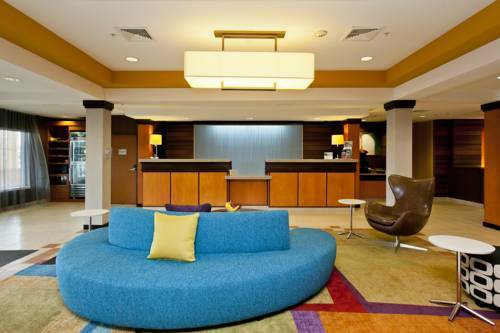 Fairfield Inn & Suites Winchester is within three minutes of multiple dining options and is conveniently located near Shenandoah University, corporate headquarters of American Woodmark, HP Hood, Kraft Foods, Kohls Distribution Center and the Winchester Regional Airport Industrial Park. At the Fairfield Inn & Suites Winchester, you're our #1 priority. We promise you'll be satisfied, or we'll make it right. Ask us about The Fairfield 100% Guarantee.